The tragic death of Nipsey Hussle has caused gangs in Los Angeles to come together to honor his legacy. Members from the Bloods, Crips and more gangs around the L.A. area, put their differences aside to participate in a “Unity Walk” Friday, April 5. Footage of the peaceful march, which took place at the intersection of Crenshaw Blvd. and Slauson Ave. spread across social media showing hundreds of people marching towards the memorial site where the 33-year-old beloved rapper and community activist was brutally murdered Sunday, March 31. 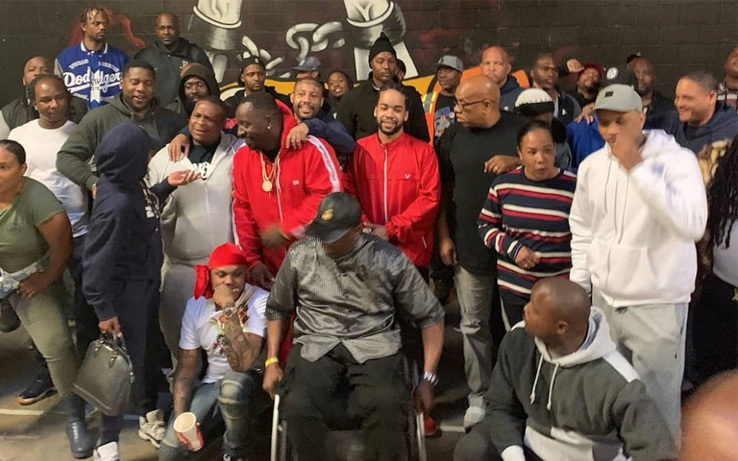 Gang leaders from Watts, Compton and Inglewood met up on the evening of April 4 to discuss plans for the march and a cease-fire, TMZ reports.